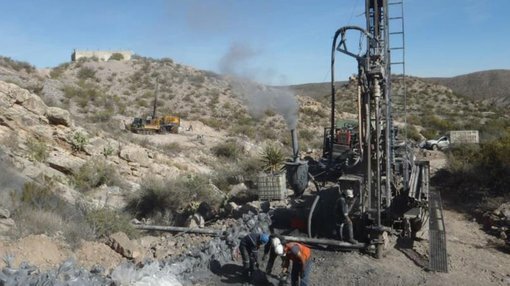 Consolidated Zinc (ASX:CZL) has found a new horizon at its Plomosas zinc mine in Mexico. The ASX-listed small cap told its shareholders recently that while it was drilling the main ‘Level Seven’ manto horizon, it happened upon a previously unknown mineralised manto unit. The new unit has been termed the ‘Jacanas Manto Horizon’, and is described as “a massive marble unit” which bears similar characteristics to the main marble unit at Level Seven. The new mineralisation was encountered about 30-40m above the main Level Seven horizon, but CZL said the ultimate thickness of the new horizon is not known. It’s at least 12m thick, but CZL said it would drill in the new year to find out more about the new horizon. Meanwhile, the company has raised $3.5M in an over subscribed capital raising to sophisticated investors and Singapore based commodities and trading Group. 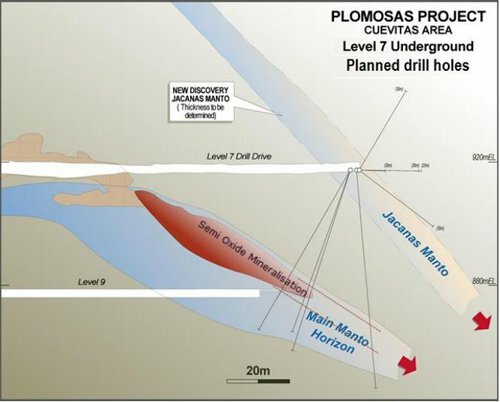 Money raised will go towards accelerating its drilling and development initiatives underway on the Plomosas Zinc project, while also being used to accelerate level 7 drilling and complete resource and associated testwork at Consolidated Zinc’s Tres Amigos resource. Drilling at Tres Amigos was halted recently but will recommence in early January 2016 with contractors and drill rigs deployed on site. In addition to its capital raising CZL also announced that an agreement had been reached with the Funan Groupo Pte Limited, an experienced trading group in Singapore, to provide immediate funding and ongoing services to the Company. Funan has strong banking ties and experience with projects similar to the Plomosas Zinc Project. The initial funding is via a drawdown facility of up to $2.2M subject to final review of the technical data related to the project and a site visit within the next three months. Consolidated Zinc MD Will Dix said of the extra capital, “It’s a great achievement for the Company to have secured funding that that will enable us to complete our near term exploration goals and move a step closer to the 2016 goal of becoming a Producer. “These funds are earmarked for the drilling from the Level 7 development into areas below the previously mined orebody and also the finalisation of all the preliminary studies on our Tres Amigos discovery,” Dix concluded. The main project for CZL is the Plomosas Zinc Project in Mexico. It has been mined to the tune of 2 million tonnes of ore in the past, with an average zinc + lead grade of 22%. It has mined down to 270m below the surface. CZL currently has a 51% stake in the project, but is aiming to increase this to above 80%. It covers 11 exploration concessions covering over 3000 hectares in the northern Mexican state of Chihuahua, about two hours flight from Dallas to the north east. CZL is aiming to initially focus on a 200tpd processing plant which is already present on site, using cashflow from early production to fund exploration. It has focused on the project due to the high-grade nature of the zinc ore mined in the area to date.